At Parkway RV Center, we are all about family. We believe that spending time RVing in the great outdoors with your family is one of the best investments you can ever make. We are here to help you every step of the way by offering a large selection of quality used RVs at discount prices. 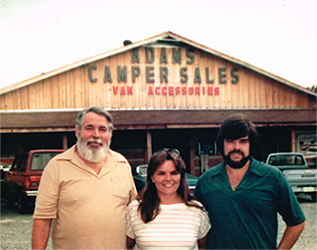 Our family has been in the RV business for over 40 years and three generations right here in Ringgold, Georgia. Come on in to look around and join us by our wood-burning fireplace with a cup of coffee or hot chocolate. We always treat you like family. No sales fees, doc fees-no extra fees at all!